emergency fan belt, o-ring gasket and so much more! 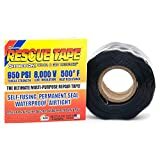 that 950PSI is the maximum pressure for Rescue tape. ew minutes. Leaks under the kitchen sink, in the garden, or in the shower will be thing of a past. 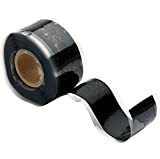 Interested in the Rescue Tape RT1000201201USCO? Is the price too high? You can easily price watch this product and we'll notify you when the price reaches your target.